This course will explore the bi-directional impact of a child’s disability on parent and family well-being. Parents often begin family therapy feeling anxious, depleted and inadequate as they attempt to sustain healthy family relationships and family routines. The Children with Special Needs Project Faculty will use discussion, videotapes, observation of live sessions and case consultation to illustrate the structure, process and therapeutic goals of family work. This course is appropriate for clinicians who work with children with autism, ADHD, learning disabilities and other developmental disabilities. 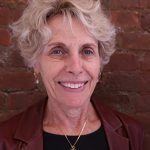 Judy Grossman, DrPH, OTR is the Director of Ackerman’s Special Needs Project, Associate Director of the Center for the Developing Child and Family and adjunct faculty at NYU. She has lectured nationally and internationally about parenting, family resilience, mental health consultation and early intervention/special education policy and programs.